Hi Friends! 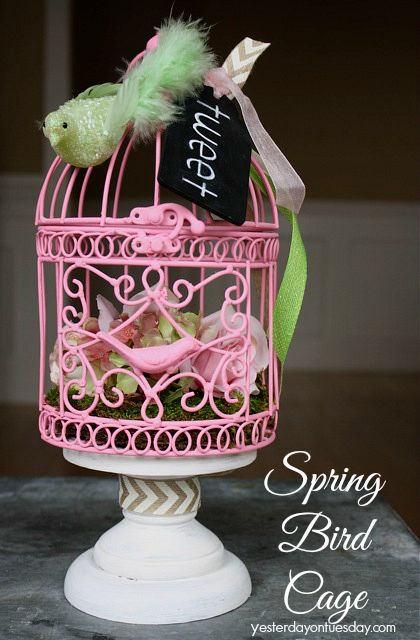 I got to create this Spring Bird Cage as part of the upcoming Pinterest Party at Michaels Stores on Sunday February 16th from 1-4. The event is sponsored by Hometalk and Michaels. More information below. 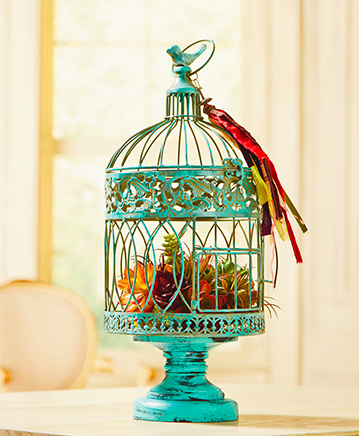 But first… let’s talk Bird Cage! 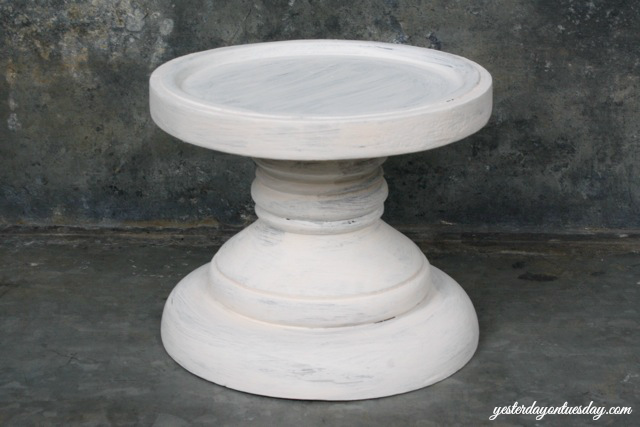 Here is my inspiration piece. It’s gorgeous! I wanted to take the basic idea and make in springy and bright. All the supplies are available at Michaels. 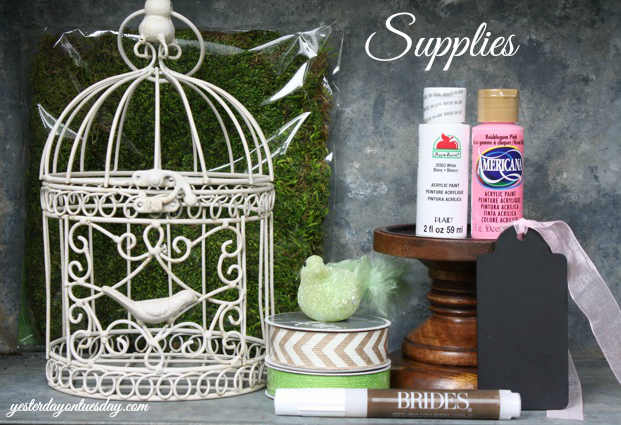 Supplies: Birdcage, wooden candle holder, ribbon, reindeer moss, a sparkly bird, white and pink acrylic paint, a chalk pen and a chalkboard tag. 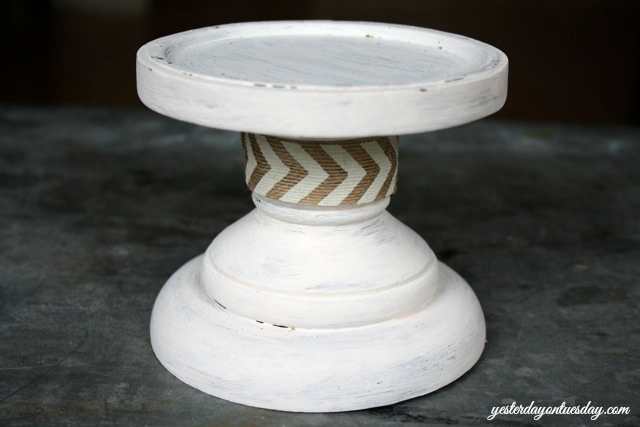 And the base white (but not too perfectly) I like the distressed look. Then I added moss and flowers inside. 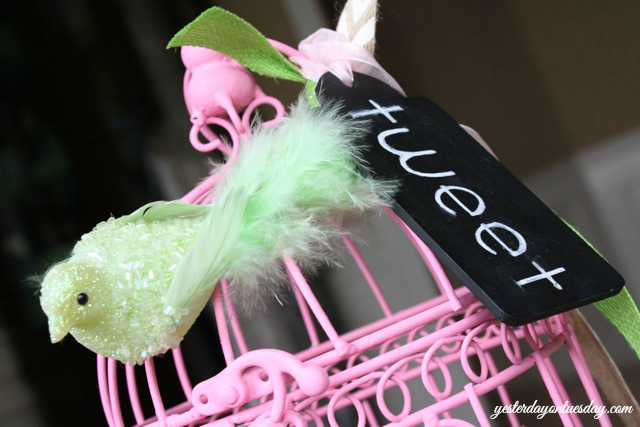 I wrote “Tweet” on the tag and added the bird, tag and ribbon. Finally, I added a but more ribbon to the base. Then I just combined the pieces. I love looking at my new spring decor! 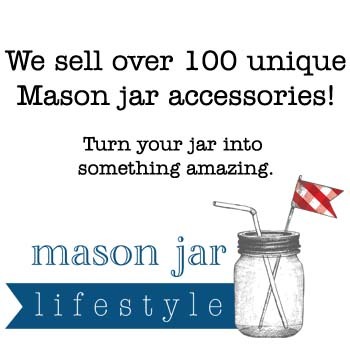 Do you LOVE Pinterest? Me too! Guess what? 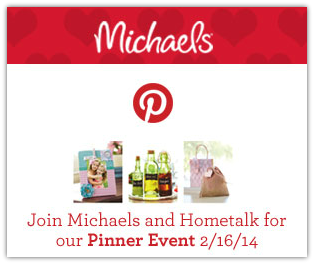 Hometalk and Michaels are sponsoring Pinterest Events all over the country! 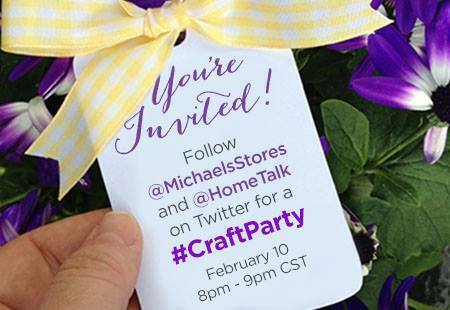 Join me, Hometalk and Michaels for a Pinterest Party! Check out the Pinterest inspired displays at your local Michaels store, buy your supplies, and meet us in the classroom to create your own pin-worthy project. 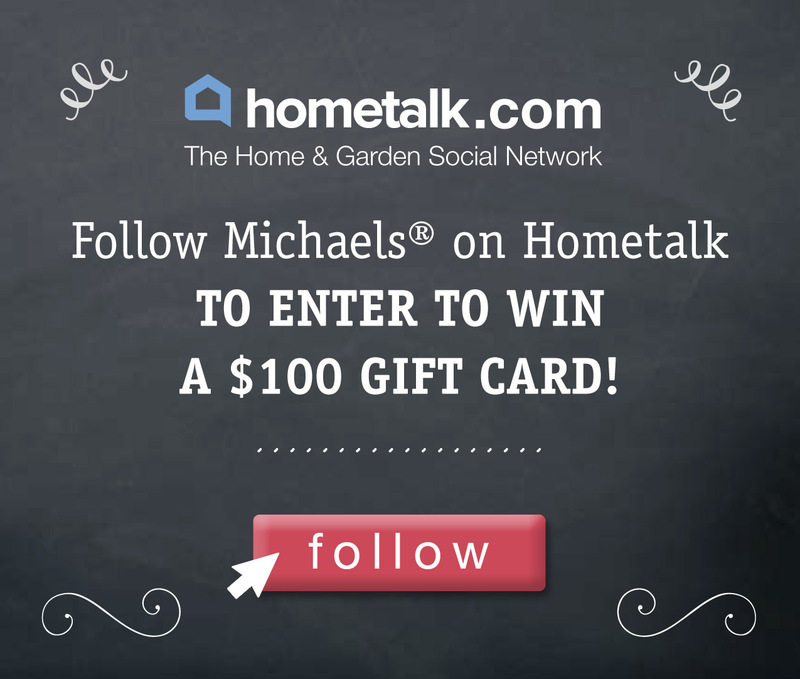 And, follow Michael’s on Hometalk to enter to win a $100 Michaels gift card. 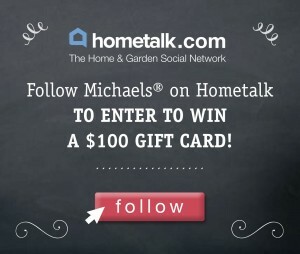 Five winners will be announced on Hometalk’s FB page on Feb 17, after the party. 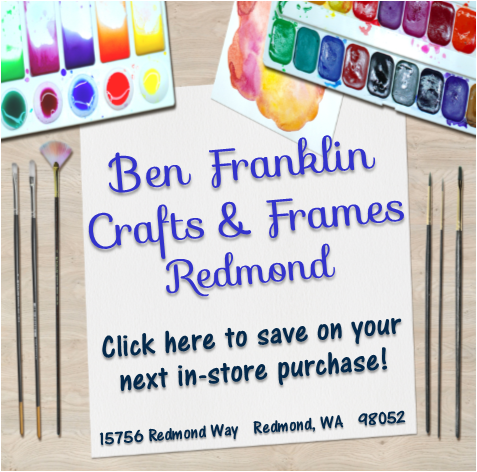 Use this Michaels ad with sales and coupons to buy the supplies for the event. Last but not least, join us on Twitter Monday February 10th at 6pm pacific for a Craft Party! Here’s all the info. 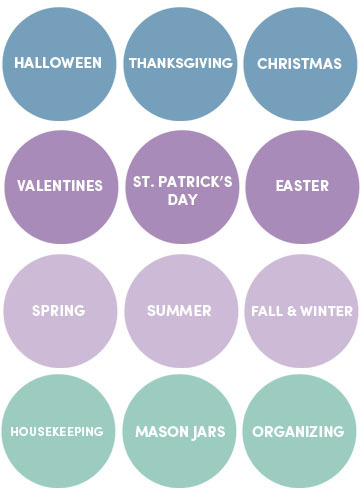 You could win one of six $25 gift cards to Michaels! Thanks to Hometalk and Michaels. 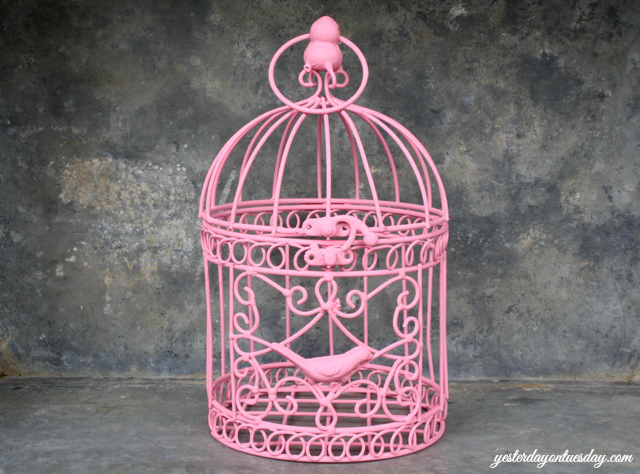 I did the birdcage as well. Yours looks great! 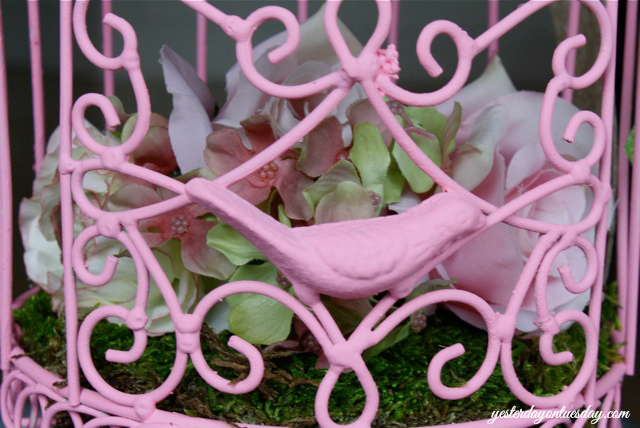 Thanks Denise, love your bird cage too! 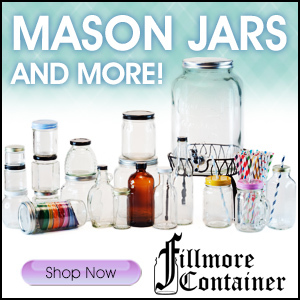 It’s just so darn sweet…. love the colors, and it makes me long for spring. 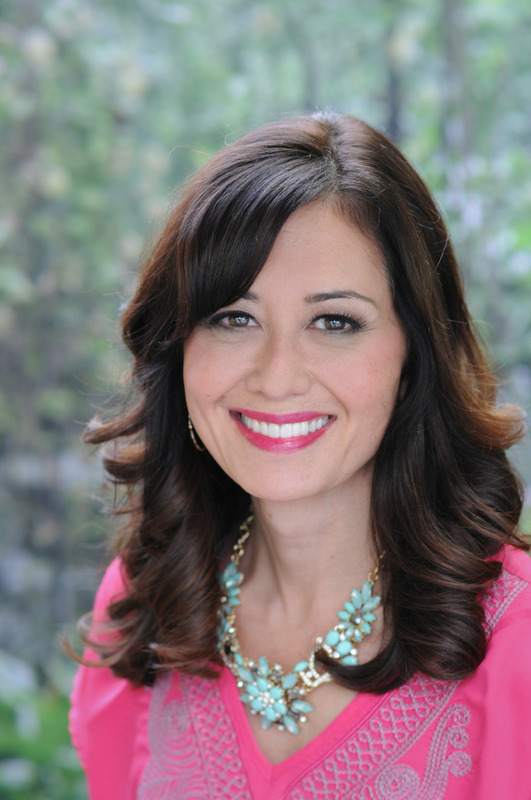 Gail, thank you so much, your comment made ME smile! The pink is perfect–so cute! Thanks Crystal, I know Spring WILL come one day soon! It’s so darling and I’m SO ready for Spring so this is speaking my language! Love the pink! 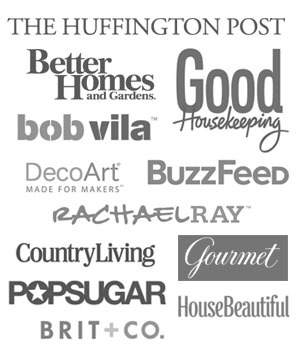 Enjoyed getting to know you + your blog from the Pinterest Party!